PASTOR PAUL CHAPPELL ACCUSED OF PLAGIARISM? 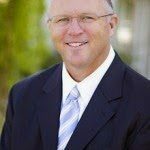 Recently someone sent me an article accusing Pastor Paul Chappell of plagiarism of an article “What Kind of Parent are You?” he posted March 9, 2010, on one of his blogs. Supposedly Pastor Chappell copied most of an article from “Effective Parenting” from “Effective Parenting in a Defective World” published by Tyndale House Publishers, Inc. Copyright @ 2006 by Chip Ingram. There was an innuendo of not only plagiarizing, but they noted that the original author was a former Mormon and thus creating suspicion about Pastor Chappell’s association with false doctrine. Pastor Chappell was not claiming originality. The truth is several of us have heard this in lecture form from others. These men were merely using an outline they had learned somewhere earlier. It is entirely possible that he did not even remember the original source. I have 42 wide margin Bibles with thousands of outlines. Pastor Chappell was using the thoughts and not the actual writing. He expounded on some thoughts that were very solid. He did nothing to twist what was written. Those who are attacking Pastor Chappell have ulterior motives. These people are enemies of any independent Baptist. They hate personal soul winning, personal standards, pastor led churches, old fashioned preaching, King James Bible position, independent Baptists, etc. Cite sources. All of us have been guilty of not doing this. It is better to cite too much than too little. Be careful who you read from and who you draw from. We all quote people, such as our forefathers who are not necessarily Christian, but it might be wise not to use materials from members such as possible cults or those who are not who you are. Those you run with will come out in your spoken word or your written word. Do not be surprised when someone calls your hand on it. Take extra care especially in writing because much more scrutiny is going to be taken. Your enemies cannot wait to find something wrong. They spend more time scrutinizing than evangelizing. Give credit where credit is due in your writings. To cite another’s work is not wrong. To not cite another’s work is wrong. Go the extra mile and give credit to thoughts of others in your writings. We are all a composite of many others who have preceded us. None of us are self-made men or women. We all are in debt to those who taught us in the past. Many times we give thoughts that were given to us. It is wise to give credit to whom credit is due. Paraphrasing another’s words is still considered plagiarism. All of us have written things that were deposited into the back of our minds in times past. If all of us would stop and consider carefully what we put into print it would stop giving our enemies fodder. I am nothing more than a composite of all of those great men who have gone before me. I can’t help but think and speak the things I have heard. At this time it would be wise of us to slow down and think before we write. Our enemies are not looking out for our interests. Their desire is to destroy. If you cannot admit where you got it then you should not use it. Too many of our young leaders think that just because those who follow them do not run with FOCUS ON THE FAMILY, or Rick Warren, or John C. Maxwell, etc., that no one will notice their use of those men’s teachings. This is very dangerous indeed. I am not suggesting that I agree with all of Pastor Chappell’s teachings, but I do not like someone attacking him for things that most are guilty of themselves. Maybe this could be one of those teachable moments for all of us who put our words in print form, especially in this day and time of instant communication. JUST A THOUGHT! I googled “Paul Chappell plagiarism” because in reading his commentary on Galatians I found a word for word copy out of John MacArthur’s commentary. When I went and compared the books more closely it appears a lot of Paul Chappell copies much of MacArthur’s thoughts, format, & cross references. I am a member of an Independent Baptist and still believe Paul Chappell should be called out for this and either give credit where it is due to remove his books. In the current form Paul Chappell represents himself in a manner that is dishonest.